COPYRIGHT © RC ROVER®. USPTO REGISTERED PRODUCTS & MARKS. ALL RIGHTS RESERVED. DURABILITY, EXPANDABILITY, AFFORDABILITY! 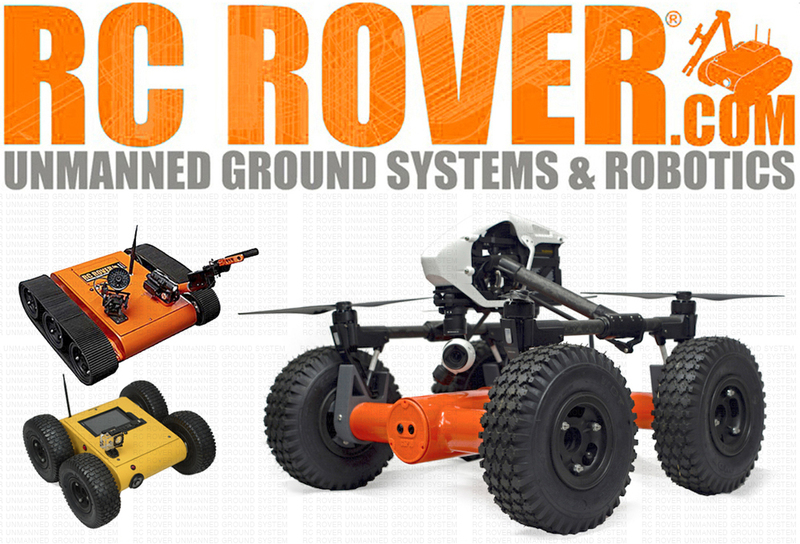 THE ALL NEW RC ROVER® REV9 UNMANNED GROUND SYSTEMS & ROBOTS. CUSTOMIZATION OPTIONS (not limited to): RC ROVER ® RVE9-18 UGV SYSTEM (RFO) . RC ROVER ® RVE9-16 UGV SYSTEM (RFO) . ROVER-X 120+LBS UGV . RC ROVER ® UNMANNED GROUND VEHICLE CHASSIS KITS . REV9 eXPANDHUB DRIVE EXPANSION SYSTEM . RC ROVER ® HARDWARE KIT . RC ROVER ® MOTOR & ENCODER . RC ROVER ® ROBOT ARMS . RC ROVER ® SURVEILLANCE SYSTEMS . RC ROVER ® CONTROL & EMBEDDED SYSTEMS . RC ROVER ® SENSORS & ACTIVE PAYLOAD . RC ROVER ® SOFTWARE & SERVICE MODULES.